Register Today Looking to Join BACU ONLINE ? 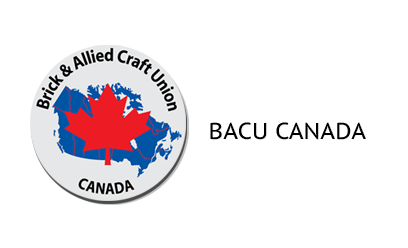 The Brick and Allied Craft Union of Canada (BACU). The BACU is an independent Canadian construction union founded in 1998. The founding members were tradespeople who wanted autonomy for Canadians within the International Bricklayers headquartered in Washington D.C. and formed the BACU after several unsuccessful years attempting to obtain a fair and equitable relationship. The BACU is a new kind of Union; one which defines the future of the unionized construction industry in Canada, a future where unionized tradespeople are free from irrelevant parent unions and can address the challenges of the industry head-on. We represent bricklayers, tile-setters, stone masons, marble masons, restoration masons, refractory masons, terrazzo mechanics, plasterers, insulators, fire proofers, pointer-caulker-cleaners, cement finishers, brick mason tenders and tile helpers. We are actively involved in training and funding trade schools for all of the skills held by our members.